Uvita Beach House – 3 Bedroom Home With Huge Pool!!! 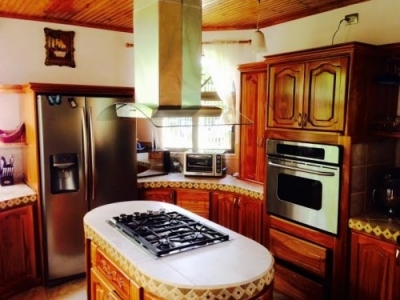 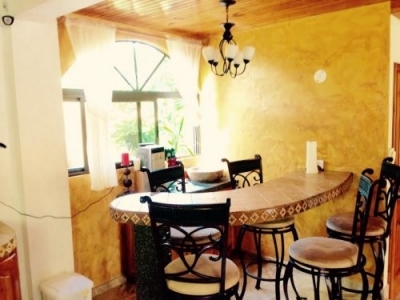 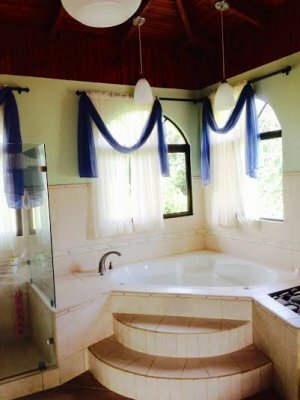 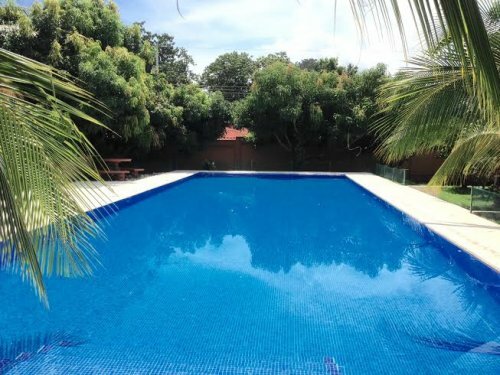 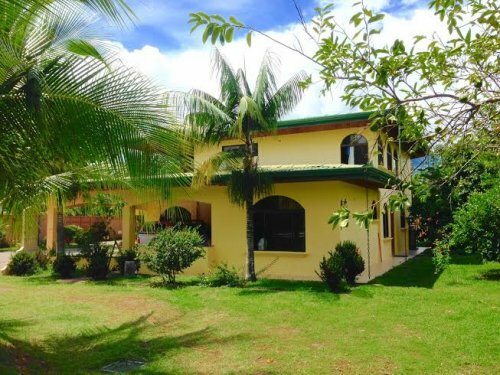 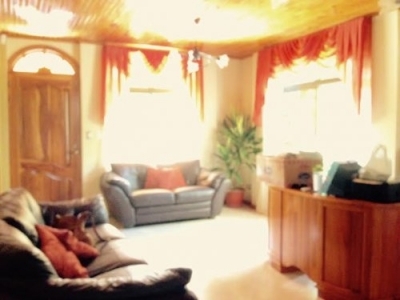 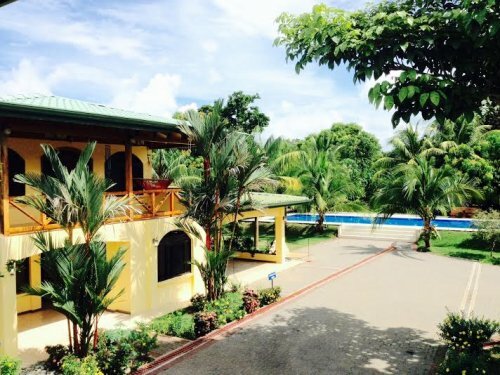 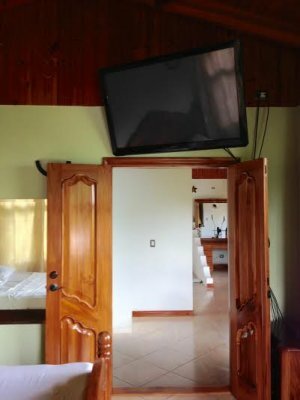 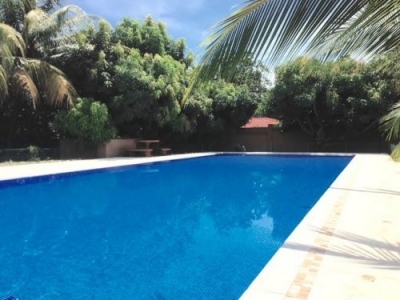 This lovely 3bed, 3bath home is located near the National Park of Uvita in a very private neighborhood. 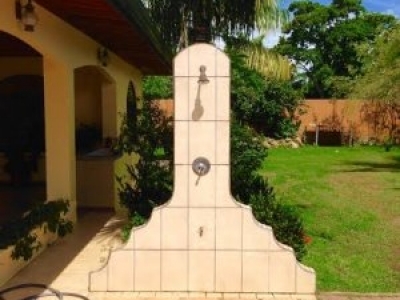 The entire property is surrounded by a tall secure fence with an electric gate. 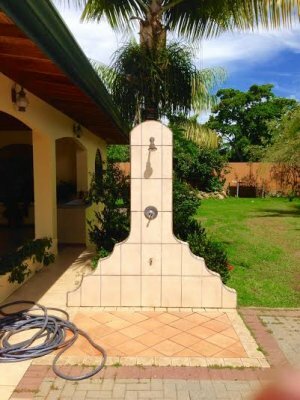 The house is on approximately one acre that consists of a nice manicured lawn, an olympic size pool, a covered garage, a guest house, and dozens of mature fruit trees. 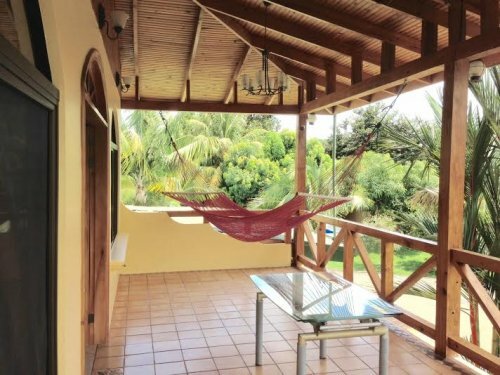 Some of the fruits you can harvest weekly include mango, papaya, banana, platano, lime, orange, mamones, guanabana and coconuts. 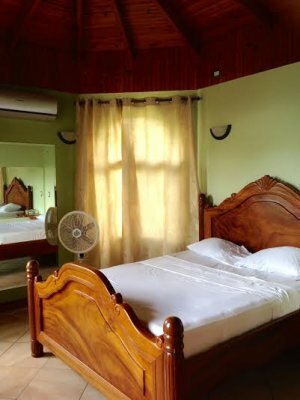 The upstairs master bedroom has Jacuzzi tub, large shower, walk in closet, flat screen TV and a large covered deck with a hammock perfect for relaxing and enjoying the day. 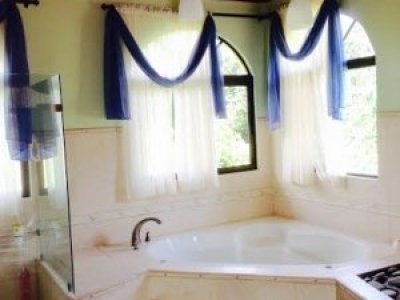 Another advantage to this house is the location. 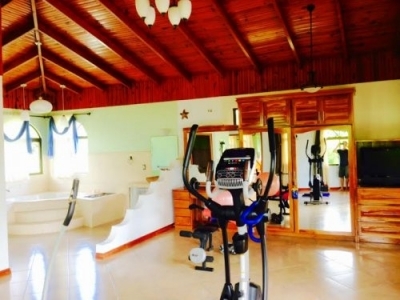 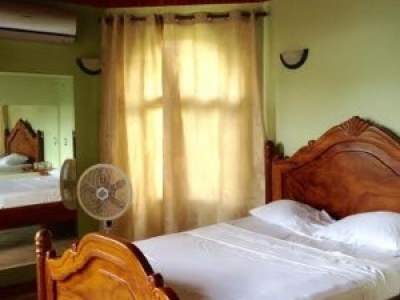 Although private, you are a short drive or walk to the restaurants and markets of Uvita. 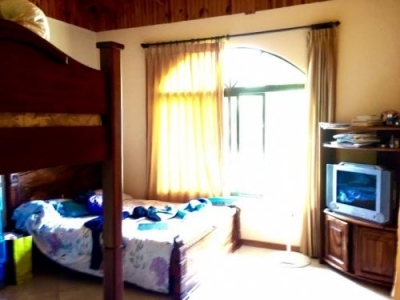 You can also walk to the beach of Chaman, which is a National Park. 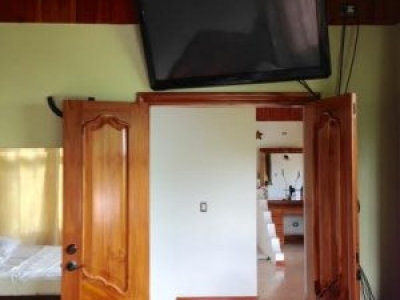 This home has WiFi and cable tica cable.